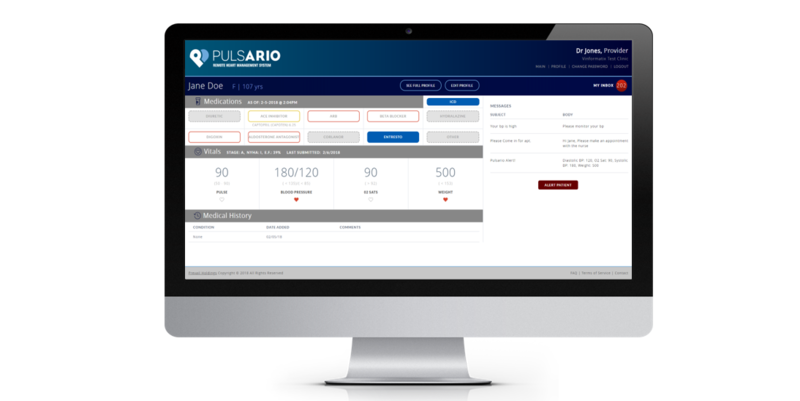 Vinformatix designed and developed Pulsario, a heart-monitoring application to help a cardiologist dramatically increase the impact of his available time and expertise. As the only heart failure and transplant specialist in a three-state region, the doctor needed a way to proactively support the extended patient population that depended on his care. Vinformatix proposed a mobile and web-based solution that leverages the power of the patients’ smartphones. 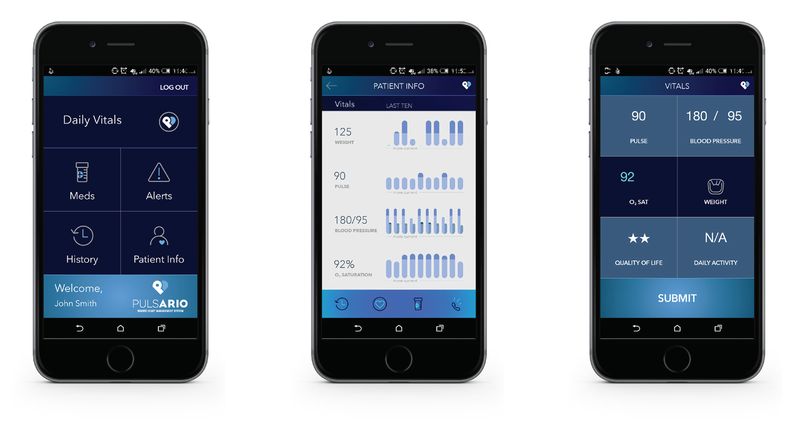 Using a mobile app (both Android and iOS) that interfaces with the cloud, the patient enters their vital signs into their phone each day. Through customized algorithms, the data is analyzed against the patient’s profile and the app immediately alerts the cardiologist (via mobile and desktop) if any value is problematic. Through the system’s rich and intuitive graphics, at a glance the doctor can tell what’s going on with the patient. The HIPAA-compliant app includes a medication management dashboard so that the physician can instantly understand the patient’s medication profile and adjust it with a couple of taps. The system also integrates a communication platform for secure online patient/physician discussions. Pulsario demonstrates Vinformatix’s ability to design innovative solutions that have a real impact not just on productivity but on people’s lives. By proactively monitoring and reporting vital signs, the app allows early intervention and prevention, which in turn reduces the number of unnecessary hospital admissions. The system has become an indispensable tool for managing a multi-state patient population that spans several clinics and nursing homes.